With its remarkable rarity and unique gemstone qualities, it’s no wonder experts have dubbed tanzanite, “the gemstone of the 20th century.” In recent years, top-quality tanzanite gems have fetched higher prices at auction than many rubies, emeralds or diamonds! So, when we had the opportunity to pile on the carats of this rare gem, we moved lightning quick. Experts agree that one day, maybe soon, the Earth’s supply of the rare gem will simply and suddenly disappear. Tanzanite is only mined within a 4 square kilometer section of Tanzania. That’s it. You won’t find it anywhere else on the planet. That makes it 1000 times rarer than diamonds. We feel compelled to bring this amazing stone to you before it’s gone for good. But you deserve more than just a touch of tanzanite. Which is why the Tanzanite Rarity Earrings boast 65 carats of rare tanzanite, featuring natural tanzanite gemstones that perfectly capture this endangered gem’s wealth of violet, blue, and purple tones. 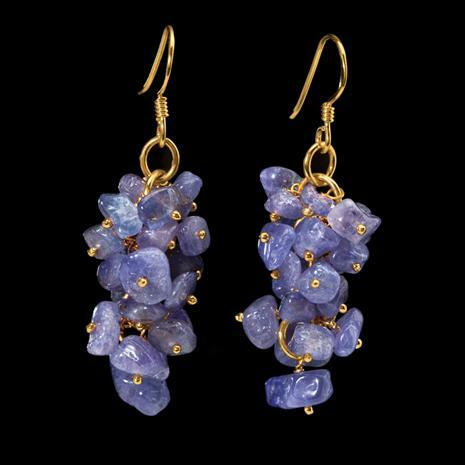 With quantities of tanzanite dwindling, we won’t be able to offer these 65-carat earrings for long. Capture your share of one of the world’s rarest gemstones before it’s too late.